This lovely thing bloomed yesterday. There are many more deliciously fat buds on the plant, all the size of golf balls. Barring a hailstorm–which, this being spring, is not beyond question–I should enjoy some splendid blooms in the next week or so. 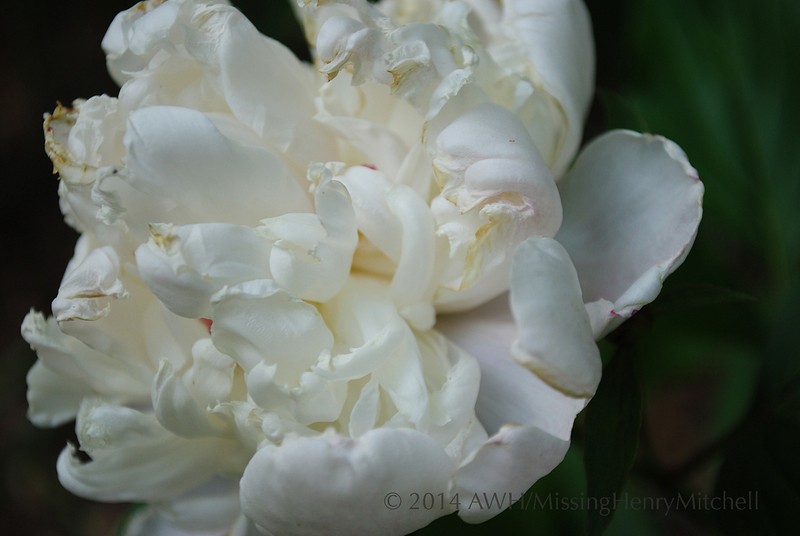 This entry was posted in 2014, Backyard Blooms, Garden log and tagged gardening, nature, peony 'festiva maxima', photography by missinghenrymitchell. Bookmark the permalink.